Editor's Note: This is part two in a series leading up to the 52nd Tevis Cup ride. The 52nd Tevis Cup, to be held Aug. 5, will pit horse and rider against 100 miles of rocky terrain and treacherous trails that have already claimed the life of one horse this year. The one-day ride begins at Robie Park, northeast of Squaw Valley and ends at the Auburn dam overlook. Hannah Heuseveldt, 23, of Weimar, attempted the ride in 2004, but due to illness was unable to complete the grueling course. She said there are plenty of spots along the trail that pose risk to both horse and rider. "There are different dangers at different portions of the trail," she said. "The first 36 miles are over the mountains and there are drop-offs and it's real rocky. It's the more technical part of the trail." She said by the middle of the day, as the heat sets in, riders are usually along the steep side of the American River canyon. Endurance riders from around the country will face the test of time and terrain when they compete for national titles at the 2006 American Endurance Ride Conference (AERC) National Championship in October. The championship, sponsored by Gulf Coast 4 Star Trailers, will be held October 20-22 in Fort Valley, Virginia, on the trails of the historic Old Dominion Endurance Ride. The Old Dominion, first held in 1973, is considered by many to be the most prestigious endurance competition in the eastern United States. The 100-mile national championship will take place on October 20 and the 50-mile championship will be held on October 22. Competitors qualify for the championship by completing a minimum of 300 miles in AERC competition with their horse and earning a top-five placing in their weight division or by having 1,000 or more miles together as a team. Riders will follow a course that is rich in both scenery and history as they climb over the beautiful Blue Ridge and Massanutten Mountains during the height of fall foliage along trails that wind through the Shenandoah National Park. AERC President Stagg Newman of Candler, North Carolina, considers the trails to be the ultimate challenge for endurance riders. "The 2006 AERC National Championship will combine the challenge of a tough course with awesome scenery over historic trails," said Newman, who has won the Old Dominion Endurance Ride three times. "Completing the 100 miles of tough, rocky Old Dominion trail requires the highest degree of horsemanship, which is the essence of what endurance riding is all about. It's not about speed, it's about pace and heads-up riding." The first discipline featured in the 2006 FEI World Equestrian Games Newservice is Endurance as it will be the opening contest of the Games. The start will be given at 6h00 on Monday 21 August. The estimated number of competitors is 168 from over 40 countries, which is a significant increase compared to the previous editions: 81 riders from 19 countries competed in Stockholm in 1990; 99 riders from 23 countries competed in The Hague in 1994; 150 riders from 36 countries competed in Jerez de la Frontera. The team to represent Endurance NZ at the World Equestrian Games in Aachen, Germany during August has been named. The team features two stallions and a wide mix of ages, experience and geographic locations. Three of the riders have already competed at 4* level - Howard Harris has ridden at four World Championships and seven Continental Championships, Denise Hill rode at the World Championships in Dubai last year, and Brian Tiffen rode at WEG in Jerez and again at the World Championships in Dubai last year. Shane Dougan was in the victorious Trans Tasman team in October last year and this will be 20-year-old Kylie Avery's first competition overseas. The number of Endurance riders has been reduced by the WEG organising committee, and there is now only one individual per country, with 4 riders making up the team. The team and individual rider will not be named until just prior to the event. After going through obstacles and challenges, Malaysia finally succeeded in producing world class endurance riders that will compete at international level at the World Equestrian Games 2006 in Aachen, Germany on 21st August next month. Mohd Izry Razali, Kpl Zulkefli Saari, Norlaily Buniyamin from Royal Terengganu Endurance Stable and Shamsudin Roni from Kelab Ar Raudah will represent Malaysia at the Games. All four riders managed to qualify with their horses to this prestigious world event. Malaysia succeeded in sending the endurance team to World Equestrian Games 2006 after making proper planning and preparations as endurance is a sport that emphasizes horse wellness and condition. They then had to fulfill the strict requirement criteria set by FEI. Shawn Davis of Tucumcari and eight other horsemen from Quay County are setting their sights on The Great Santa Fe Trail Horse Race of September 2007. Entered as Team Liberty, they will be one of the inaugural teams riding in the first race. The 13-day event from Sept. 3 through Sept. 13, 2007 will be from Santa Fe to Independence, Mo. The race will be 550 miles over 11 days. Rob Phillips is now race village coordinator and has been instrumental in organizing the organizers. Jim Gray is trail coordinator. Ray Randall is head veterinarian. Courtney Hart is ride manager and Dean Jackson is alternate ride manager. The organizers have met with and are hoping to get the event sanctioned by the American Endurance Racing Association. August 5, 2006, will be our 52nd Ride! MANY of us did not see it coming. Others could not believe their eyes. But once again, history is generous when it comes to Saudi women who have excelled in fields traditionally dominated by their male peers. Don?t be fooled by her fancy bag or her expensive sunglasses. She is not your typical mamma?s girl. She is Saudi Arabia?s first official female equestrian rider. And she has gone limits where other men have failed before. Alia Al-Huwaete, 25, is a proud Saudi citizen from the city of Al-Jouf, in the north of the Kingdom. After her graduation from high school she decided to complete her college studies in Jordan where she studied business management. Alia?s love for horses began at a very early age. When she was little, she used to ask her father or brother to take her along with them to the family?s farm so she could ride horses there. She started riding horses at the age of three. ?Everyone in the family knows how to ride horses. It is part of the family tradition,? she says. As she grew older, the magnet in her drew her closer to the beautiful creatures. When eyes were not watching, she used to open the horse?s stables in the farm and lock herself inside, petting them and gazing at them for hours. Her dad, she says, often found her sleeping on the stable?s floor adjacent to the animals. ?My dad went crazy every time he found me sleeping in there. He told me how dangerous it was,? she said. ?When it was time for me to be discharged the doctor told me, ?Alia, you?re forbidden from riding horses for a month,? she said. Alia says that that the incident was tragic as it was painful. On one hand she couldn?t imagine herself not riding horses for that long, and on the other, she knew that she had to listen to her doctor?s advise because she was already enduring a lot of pain from her injuries. After her recovery, she returned to her beloved hobby, ?but carefully?, as she describes it. She did not want to implant a fear in her from the animals that would have stopped her from getting anywhere close to them in the future. On vacations to Jordan and Turkey during summer, she often sought areas where horse riding was available. She intensified her horse riding skills during her four-year stay in Jordan to attend college. There a professional trainer who took her to the next level instructed her. The manager of the ?Jordanian Equestrian Club? noticed Alia?s quickness in learning the skills needed to acquire in the sport. She soon worked her way up to become a professional trainer in the club. ?Many hesitant boys put their fears aside when they saw that a girl my age could handle a horse,? she said. While at the club, Alia enjoyed training boys and girls how to ride horses. ?Among the things I enjoyed was teaching them the relationship between the rider and the horse, as well as how to overcome their psychological fear,? she said. Alia returned to the Kingdom after her graduation to seek work. She said she was not picky in finding a suitable job in the private sector. She tendered her resume to several places and got accepted in five. The fifth was Kingdom Holding Company where she is currently employed. ?The reason why I chose Kingdom Holding among the others was because I had heard of Prince Alwaleed?s characteristics and how much he supports Saudi women,? she said. Prince Alwaleed ibn Talal is the chairman of the company. The prince took her under his wing when he had learned about her equestrian talents. ?He told me that if the Saudi Equestrian Association did not mind, he would see to it that I would compete as the first Saudi female equestrian in international events,? she said. Alia said that she received the permission letter from the Saudi Equestrian Association soon after. The letter accredited her as a Saudi equestrienne for participation in international events. The prince then provided her with a personal trainer, all the necessary equipment needed and access to some of the finest horses in the entire country. Her first international participation as a Saudi female was in an endurance equestrian competition held in Dubai in December. The participation opened her eyes to a whole new world. There, she says, she saw things she had never seen before in her life. The riders competing were top notch participating from all over the world. ?I competed against titans,? she said. ?But I was glad that I had the prince?s confidence in me.? The horse she was competing with, Falah, belonged to Prince Alwaleed?s stable. He was an eight-year-old purebred Arabian stallion. Alia came in seventh at the end of the race, finishing ahead of 58 other riders. Her third and last international participation was several months ago in the endurance equestrian competition held in Qatar. She finished eighth at the end of the three-stage 120-km race. ?The horse sprained one of his legs in the final 10 kms,? she said. She was on the horse that day from 4 a.m. until 1 a.m. with only short stop in between. Alia and her colleague were the only two female riders that competed in the race. Alia says she is satisfied with her ranks in the few international championships she has participated in so far. ?These competitions are tough. A rider sometimes can compete for ten years without finishing among the top ten,? she said. ?Not to mention that they are longer than 100 kms. So you can imagine how tough it is either for the horse or the rider.? A rider and his horse are only given a 30-minute break after they finish each level of the race. No exceptions are made. During that period, the rider?s team must make sure the horse is inspected, hosed down with water, and drinks enough before he continues on to finish the other long kilometers in the race. Alia?s family, be it her father, mother, or brothers, have always supported her from the very beginning. ?My dad gets so excited when he learns about my international competitions. He often decides to travel with me to cheer me,? she said. She believes that Saudi women are ?stars? who are up for the challenges they face ahead. ?Saudi women have a bright future in the equestrian field. All they need is more confidence,? she said. She says she is not bothered at all with some of the criticism she gets from certain sects of Saudi society for what she does as a Saudi female. ?I do not mind criticism at all, as long as it is constructive and not destructive,? she says. She feels that some of the people in the Kingdom who criticize her have no solid ground to do so, whether it is to criticize her on the terms of religion or the terms of social norms and traditions. ?I feel that some of these people who only want to lash out are not educated. Equestrian sport has always been a part of Arab tradition, even for women, in the days of the Prophet (pbuh) and Caliphs,? she says. Alia hopes that the equestrian sport, especially endurance championships, develops in Saudi Arabia. ?We have beautiful open areas that are suitable for these championships,? she said. ?Furthermore, it could be more developed when other competitors from foreign countries participate.? THREE top riders from Bahrain and the UAE were disqualified after their respective horses failed the veterinary examination at the 160-km endurance race in Saint Galmeir in Paris late last night. Bahrain's Al Khaldiya Stables team leader Shaikh Khalid bin Hamad Al Khalifa was eliminated just before the start of the sixth and last stage, after his horse failed the medical examination. Another Bahraini rider Shaikh Salman bin Sager Al Khalifa could not proceed beyond the third stage. UAE's top rider Khamis Al Rumaithi's horse also failed the medical check-up before the commencement of the final stage resulting in his elimination after an impressive performance. The UAE's delegation sent their objections to this decision to the International Equestrian Federation urging them to re-check the horse which failed the test. The first stage which was for 35km saw 100 riders starting the race with Al Rumaithi finishing in first place. Shaikh Khalid finished the opening stage astride Vialettes in 25th place. Shaikh Salman bin Sager riding Delanize finished 42nd, Khalid Al Ruwaie came in 45th place on De Paute and Yousif Taher finished in 46th place on D Jid. The UAE's riders continued to lead in the second stage in which Shaikh Khalid jumped to 22nd place. The third stage showed no changes in the leaders with UAE taking the first and second places, while Shaikh Khalid came in 16th place. His teammate Shaikh Salman bin Sager was 28th, Khalid Al Ruwaie 40th and Yousif Taher 43rd. Shaikh Khalid went behind one place to finish 17th in the fourth stage. Shaikh Salman bin Sager's horse was eliminated from the race at this stage, while UAE's riders remained in the lead. The fifth stage saw the elimination for Shaikh Khalid who finished in the 24th place. In the final stage, French rider Jack Pigo came first after the elimination for UAE's Al Rumaithi, while another Frenchman Simon Belot came second and Alan Lyon finished third. Jack Begaud riding KEROUAL DU BREUIL have bested a field of 48 starters at the 2006 St Galmier 160km race. Jack won by 16 seconds in a group of 5 riding for the win. There were 21 finishers in the Championship Division. Australian is sending perhaps its strongest ever team to take on the best in the world at the World Equestrian Games in Aachen Germany , August 2006. The team announced this week includes Australia?s best performed combinations. With a history of world class performances this will be a powerful team indeed. This combination have recently completed their Aachen preparation with a top ten placing at the 2006 Tom Quilty Gold Cup ,Australia?s National Championship ride . Meg had a good run with this horse under European conditions last year , placing a gutsy 5th over the WEG track at the European championships in 2005. Our most experienced combination , Penny with many miles of desert and continental racing experience , and Justice the wonder horse, arguably the most successful endurance horse ever , with many placings and team medals in International competitions. Affectionately known the world over as the ?lil ?ol appy? 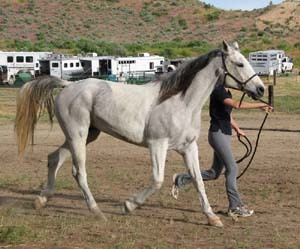 , this appaloosa arab cross gelding has carried his heavyweight rider to complete and compete on four continents . Most notable are Two tevis USA top ten completions , and a 17th overall and Team Silver Medal in the 2005 World Endurance Championships. Brooke is a household name in Australia with a reputation as a determined and talented rider , he has won the Australian National Championship Tom Quilty Gold Cup five times . Brooke and his WEG mount , La Mancha Archduke won the recent CEI*** 160k Trans Tasman Challenge and just yesterday , a few days before flying to Aachen , they were equal second at a tough local 80km ride. Jennifer and Jazz were a part of out Silver medal winning team at the 2005 Dubai World Endurance Championship. Jazzmin is owned by Toft Endurance. Joyce is a new face on the International stage , although well known to the Australian endurance community . 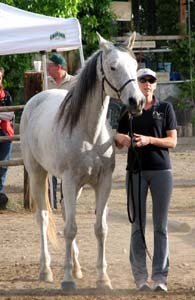 With her purebred Arabian Mare Reeflex , Joyce was the co-winner of the 2004 Australian National Championship Tom Quilty Gold Cup held in South Australia. Danielle is steadily working her way up into the top ranks of Australian endurance riders. The Bahrain Royal Endurance team are set to participate in the Saint Galmeir race which will start tomorrow in Paris, with the leader of Al Khaldiya Stables team Shaikh Khalid bin Hamad Al Khalifa leading the team. The race will be held during France's celebration of their national day. This will be the fourth event for Bahrain in Europe in their preparations to gear up for the World Endurance Race to be held in Germany. Shaikh Khalid will lead the team on behalf of Bahrain Royal Equestrian and Endurance Federation president Shaikh Nasser bin Hamad Al Khalifa, who will not take part in this race because of studies. Bahrain's Yousif Taher and Khalid Al Ruwaie will also take part in this race. The race which will cover a distance of 160km and consists of six stages. The first stage will be over 36km, the second 30km, the third 29km, the fourth 20km, the fifth 30km and the last stage 29km. Arab riders from the UAE and Syria along with Bahrain will take part in this race where the temperatures reached 32 in Paris yesterday. An autopsy was being conducted Tuesday on a Vacaville woman who was found dead on the Dru Barner trail Saturday during the Gold Country Endurance Ride near Georgetown. Pamela Page Briles, 59, was participating in the endurance ride at Dru Barner Equestrian Park and was found lying on the trail by other riders. Cherryl Holbrook, ride manager, said Tuesday that about 29 miles into the 30/50 mile ride two doctors on horseback found the body. "A couple riders, both physicians, came up upon her," she said. "They were going to give her CPR, but turned her over and determined that she was already dead." Emergency crews from El Dorado County responded, but were unable to revive Briles. Lt. Marc Adams of the El Dorado County Sheriff's Department said Tuesday that a preliminary autopsy report indicates the rider most likely died from an existing medical condition. A rattlesnake spooked a Roseville woman's horse Sunday as she was training for the upcoming Tevis Cup race sending both horse and rider over an embankment. Rebel, a 13-year old Arabian, is feared dead after plunging more than 200 feet from the Western States Trail near Deadwood into the American River Canyon below. Nicole Wiere, a veteran horsewoman, was out for a ride with friend and fellow equestrian Shawn Bowling Sunday afternoon when a rattlesnake on the trail, one-and-a-half miles from the Deadwood Cemetery, spooked Bowling's mule and Rebel. The Bahrain Royal Endurance team, lead by Bahrain Royal Equestrian and Endurance Fredration president Shaikh Nasser bin Mohammed Al Khalifa and Al Khaldiya Stables team captain Shaikh Khalid bin Hamad Al Khalifa, will race today in the Thatford Endurance Challenge in England. This race is part of the Bahrain team's preparations for the upcoming World Endurance Race which will be held in August in Germany, and also for the World Youth Endurance Race in September this year. The Thatford event will consist of three races - the first one will be a 160km race which will start at 5am, the second will be an open race over 120km starting at 6am, while the third will be for the youth category and over 120km starting at 6.15am. This will be the second race for Shaikh Nasser, who took part in a race last month to get prepared with his teammates for the World Endurance Race in Germany next month. Shaikh Nasser, riding Jassim, will take part in the 160km race along with Shaikh Daij bin Salman Al Khalifa on Hazali. Shaikh Khalid will take part in the 120km open race, riding Karemba, and Salem Al Otaibi riding Jaleel and Sa'ad Al Yami riding Sandeena will also take part in this race. Shaikha Najla bint Salman bin Sager Al Khalifa will be taking part in the youth category riding Lelek, while her teammates Mohammed Abdulaziz riding Batar, Mohammed Abdulsamad on Silver Diamond and Jaffar Merza riding Jallad will all be taking part in this race. Pour un coup d?essai, la "grande semaine de l?endurance" 2005 à Saint Galmier fut une grande réussite. 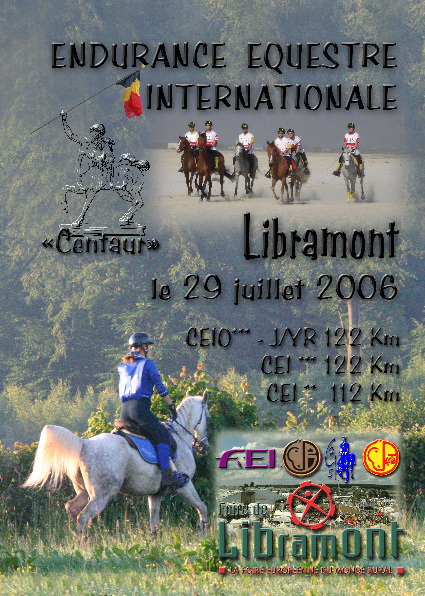 L?édition 2006 élève son niveau pour rentrer dans le groupe 1 et accueillir le Championnat de France CEI*** 160 km et la CEN* 90 km sélective pour le championnat du monde des 7 et 8 ans à Compiègne. The internationally known, prestigious endurance race, "Les Deux Jours de Montcuq" is embarking on its 30th year of existence. During those 30 years the founder, Pierre Passemard traveled around the world observing and participating in other endurance races, gaining a lot of experience and contacts. This enabled him to be able to bring together, here in the South West of France, international riders of the highest caliber, forging it into one of the preeminent races of its kind. Abu Dhabi: Shaikh Rashid Bin Mohammad Al Maktoum and Shaikh Ahmad Bin Mohammad Al Maktoum will be looking to just complete today's 160-km three-star endurance ride in Euston Park in UK. Both the UAE riders have already qualified for the World Equestrian Games' (WEG) endurance event, to be held in Aachen next month. But today's 160-km event is important for Shaikh Rashid and Shaikh Ahmad as it will be their third 160-km event before the World Championship. If both the riders complete today's event then they will be eligible to choose any one of the 12 horses that have qualified from the UAE. If they do not complete the three 160-km three star events then they will have to ride the same horse with which they have completed one of the other two rides. Shaikh Rashid recently won the 160-km three Star event in Gubbio, Italy while Shaikh Ahmad had finished fourth in the 160-km three-star event in Cirencester ride last month. Apart from Shaikh Rashid and Shaikh Ahmad - who is the defending champion after having won the gold medal at the WEG in Jerez, Spain - Shaikh Hamdan Bin Mohammad Al Maktoum and Shaikh Majid Bin Mohammad Al Maktoum will also be riding today, but in the 120-km three star event. Shaikh Hamdan and Shaikh Majid, along with His Highness Shaikh Mohammad Bin Rashid Al Maktoum, Vice-President and Prime Minister of the UAE and Ruler of Dubai, have already qualified in the open section with victories in three 160-km rides already. Shaikh Majid has already tasted success in the European circuit this season, winning the 160-km three-star event in Peruggia, Italy, last month. Apart from these top riders, quite a strong contingent of UAE riders will be in the fray in this Kings Forest event at Euston Park. The UAE horses that have been named for the August 21 Endurance Championship in the World Equestrian Games in Aachen are also expected to use today's 120-km event as preparation. "This is an important ride for the UAE and we are hoping that Shaikh Rashid and Shaikh Ahmad complete," said Esmail Mohammad, trainer of endurance horses for Shaikh Mohammad. "The horses have all been doing well since they were shifted from Dubai after the UAE season and most of them will be having an outing today," said the trainer. The endurance horses from the UAE have been based in New Market and have been taking part in the rides in Europe ahead of the WEG to be held in Germany. 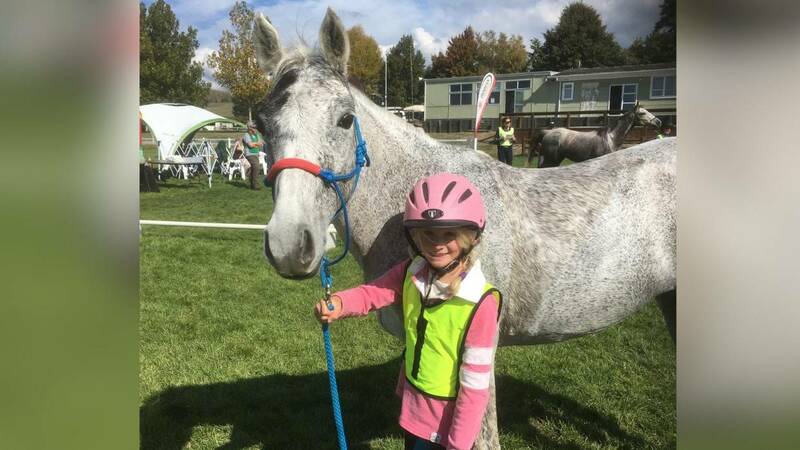 When Mary-Anne Dorchester first started with horses, she had dreams of one day becoming an Olympic representative, but little did she know one day she would be on the biggest stage in a different type of horse riding, endurance riding. ary-Anne Dorchester with her horse Shadow. Dorchester will soon head to Germany as part of Team Canada at the World Equestrian Games. "This wasn?t even on the radar when I started the sport," said Dorchester, who leaves for Aachen, Germany on August 1. "My goal used to be the Olympics, in Dressage, but it just turned out not to be my forte in riding." Before Dorchester could be chosen as part of Team Canada for the 2006 World Equestrian Games in Germany, she had to finish a Federation Equestre Internationale sanctioned event, which meant 100 miles in 13-hours-20-minutes. In an event held last year in Drayton Valley, Dorchester not only made the qualifying time, she thrashed it, finishing in a time of 11:23. Even though she had made the qualifying time, it didn?t automatically mean she was on Team Canada. She then had to be selected to the team, which she said was a roller-coaster ride all in itself. "We were told the decision would be made by April 1, but we didn?t find out until the beginning of May. I went from thinking I had a good shot, to thinking there was no shot, back to thinking I did." Dorchster explained she didn?t have the highest goals when she began with the sport. "I didn?t even think 50 miles was on the radar, but the sport is like that," she said. "You can start low and move up once you get the confidence." She also said the training regimen has changed a bit. Early on, she would do slower, longer rides, but now that she and her horse Shadow have moved up, the training at a faster pace. "I?m not so much nervous, as I am overwhelmed," Dorchester said. "To have to opportunity to go to worlds and be able to ride the only horse I have ever used is really something special." Shadow, whose show name is SH Rock N? Roll, is 15-years-old, but Dorchester says he is very focused on race day. The cost of going to Germany for the race is about $30,000. Dorchester has received a great deal fund raising support for the trip. The 33rd annual Fauresmith Endurance Race ended with almost no injuries and a lot of excitement. The race of three days over 200km of tough terrain, is regarded one of the toughest endurance races in the world. The race kicked of with 220 horses, but only 173 finished. On the last day of the race the air was filled with excitement as spectators wait in anticipation for the first horses to cross the finish line. It was Francois du Preez (17) from Tzaneen who had this honour. Du Preez, the junior prize winner, says: ?I am riding for a long time, last year I came second and this year I won.? But once you cross the finish line, it doesn't mean you completed the race successfully. The horses must first pass a test to determine whether they are still uninjured and in healthy condition. Eduard Penning, a Mpumalanga farmer, finished this gruelling race in 08:35. It is the fourth time he has participated in the race with his horse Rodi. Penning says: ?I'm tired, but I'm satisfied. My horse is tired as well, it was a tough going, and it was very, very good competition against me, but I'm very glad that we've done it.? There were only two injuries during this year's race - a broken arm and a broken collarbone. This was the first year that the horses had their own ambulance.